Avira Joins WSOE 5: Hearthstone - The Return of Jia! The World Showdown of Esports (WSOE), a multi-genre, multi-game tournament series and subsidiary of ESP Gaming, has revealed that Avira will be joining WSOE 5: Hearthstone – The Return of Jia as the exclusive cyber-security and gaming optimization partner during the March 30-31 competition, featured in-studio and throughout the broadcast. 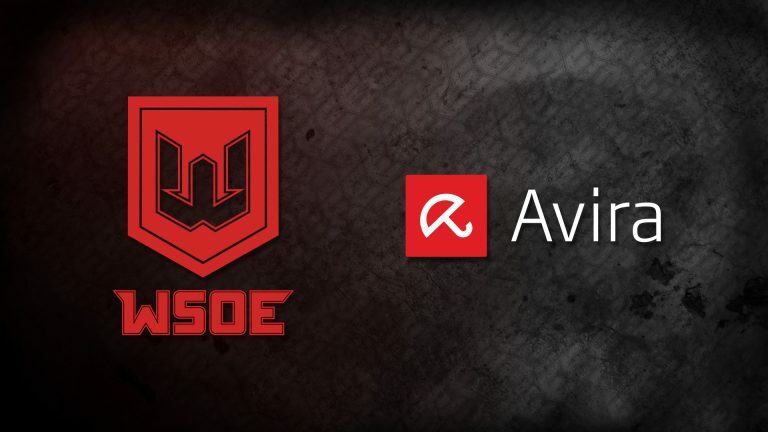 Avira offers two critical tools to enhance the gaming experience and is giving WSOE fans 3-month free trials at www.avira.com/wsoe. First, the Avira System Speedup gets devices tuned and ready for action. Second, the Avira Phantom VPN is a fast and secure network connection to keep gamers moving in the game, keeping activities private, and opening geo-IP restrictions that can sideline players from the action. WSOE 5: Hearthstone – The Return of Jia features the return of WSOE 2: Hearthstone defending Champion Jacinta “Jia” Dee against four of the top women Hearthstone players, including WSOE 2 runner-up Cora “Songbird” Georgiou, Pathra “Pathra” Cadness, Alexandra “Alliestrasza” Macpherson, and Alyssa “Sylsssa” Ritter. For the first time, the WSOE will also highlight show matches between Hearthstone personalities Andrey “Reynad” Yanyuk vs Paul “Zalae” Nemeth and William “Amnesiac” Barton vs David “Justsaiyan” Shan. Fans can follow the WSOE 5 action at www.twitch.tv/wsoe from March 30-31 at 10 a.m. PT daily. For more information and news about World Showdown of Esports tournament series and partners like Avira, visit www.wsoe.com and follow on Twitter and Facebook. WSOE is the world’s premier multi-genre esports tournament series, where skills are tested, reputations are forged, and upsets are a certainty. The WSOE brings together the most compelling personalities in competitive gaming for intimate, head-to-head competition that puts the passion behind the games on full display. For more information, visit WSOE.com. Follow WSOE on Twitch, Twitter, Facebook, and Instagram for the latest news and updates. ESP Gaming is the premier competitive gaming content company in the world, comprised of live sports and entertainment leaders, who between them boast over 15 Emmy Awards from decades of production experience. As an industry-leading source of premium experiences for game developers, esports teams and gaming communities, ESP Gaming offers best-in-class broadcast and digital production, distribution, end-to-end league, and tournament operations, player management, marketing, sponsorship, ad sales and more. ESP Gaming also offers ESP Labs as an esports marketing and investment arm that facilitates growth for games, platforms, and products. Avira protects people in the connected world – enabling everyone to manage, secure, and improve their digital lives. The Avira umbrella covers a portfolio of security and performance applications for Windows, Android, Mac, and iOS. In addition, the reach of our protective technologies extends through OEM partnerships. Our security solutions consistently achieve best-in-class results in independent tests for detection, performance, and usability. Avira is a privately-owned company that employs 500 people. Its headquarters are near Lake Constance, in Tettnang, Germany, and the company has additional offices in Romania, India, Singapore, China, Japan & the United States. A portion of Avira’s sales support the Auerbach Foundation, which assists education, children, and families in need. For more information about Avira visit www.avira.com.